This drab 1950s London surburban detached house had a large sloping south facing garden but was in need of updating and remodelling. On a tight budget the brief was to transform the external appearance and kerb appeal of the house whilst improving the kitchen/ living areas and their connection with the garden. 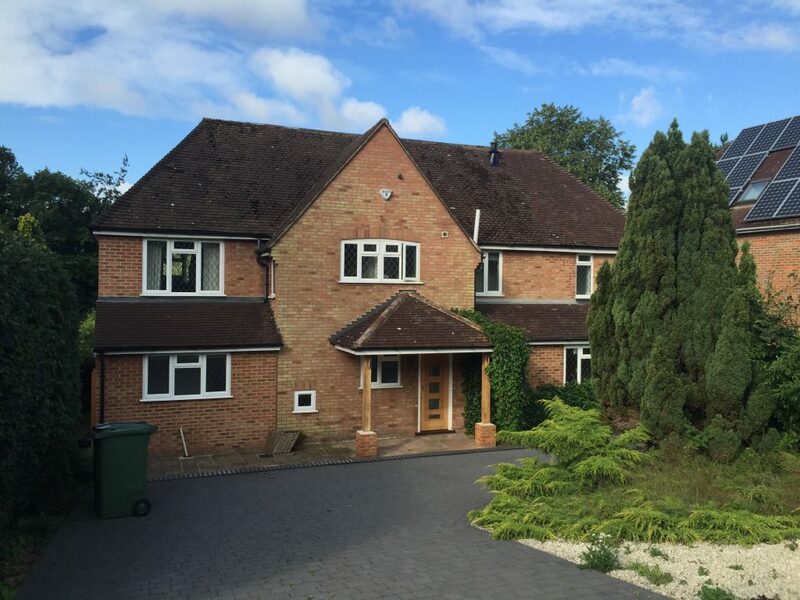 The current garden room was demolished and replaced with a two storey gabled extension which provided a vaulted masterbedroom over a large living space. 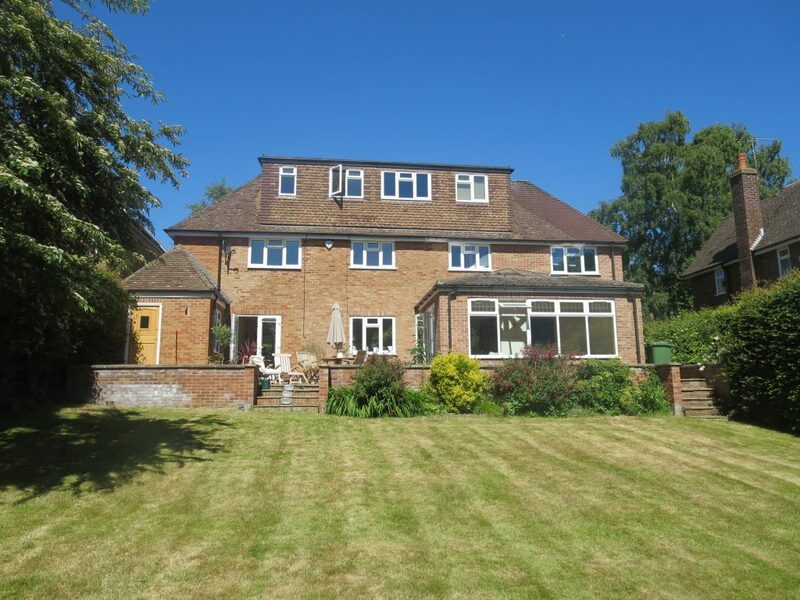 The ground floor space connected with the kitchen and the lounge to provide a space which ebbed and flowed alone the sunny rear of the house. 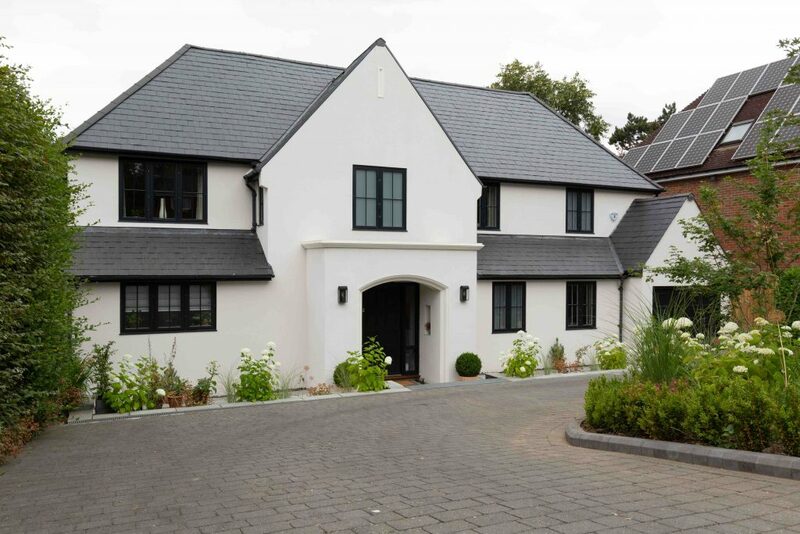 Externally the brickwork was rendered and painted white whilst the new painted hardwood windows and doors mimicked the more expensive crittal style. 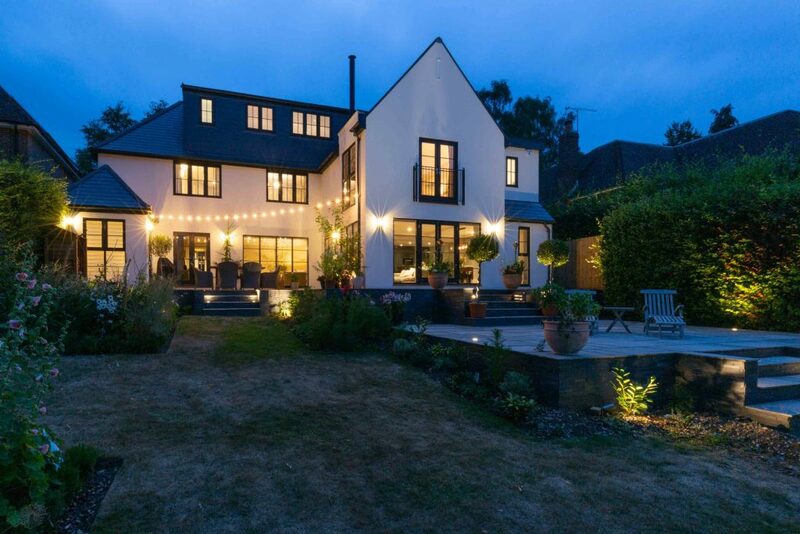 The fine glazing bars and elegant proportion has given the house a more interesting and glamourous appearance. Stepped terraces and a more formal garden design make the rear garden a very inviting space in which to linger.